Alabama Agricultural and Mechanical (Alabama A & M) University is a historically black university located in the city of Normal, Alabama. The school began in 1875 when Alabama officials used the Morrill Act of 1862 allowing state governments to establish colleges for African American students. Alabama A&M University was one of the first seventeen new land-grant black institutions founded under the Morrill Act. When the school opened in 1875 it was called Huntsville Normal School and was located in Huntsville, Alabama. The school began with 61 students and two teachers. In 1878 it developed an industrial education program, which attracted private donors such as the Slater and Peabody Funds that provided crucial financial support. The success of the industrial education program led the school to petition the state for a name change to State Normal and Industrial School at Huntsville. The Alabama legislature also approved an increase in its funding to $4,000 per year from the original $1,000 a year. Under the second Morrill Act in 1890, the institution received government land-grant funds for the first time, allowing its students to study agriculture and mechanical arts. That same year, the school’s campus relocated to Normal, Alabama, a few miles north of downtown Huntsville. In 1896 it was renamed the State Agricultural and Mechanical College for Negroes. In 1919, the school became accredited as a junior college and was renamed again, this time as the State Agricultural and Mechanical Institute for Negroes. Twenty years later in 1939, the institution became a four-year college and two years later awarded its first undergraduate baccalaureate degrees. In 1948, the school’s name changed to Alabama Agricultural and Mechanical College and finally to Alabama Agricultural and Mechanical University in 1969. Nicknamed “The Hill,” the university now enrolls over 4,500 undergraduate students. 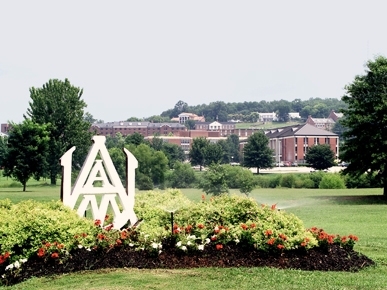 With over 800 graduate students, Alabama A&M University has one of the largest graduate schools among the nation’s historically black colleges and universities, and the only one of the 1890 land-grant colleges to offer four doctorate degrees. On July 16, 2009, Alabama A & M University welcomed its 11th President, Dr. Andrew Hugine, Jr.
Henry N. Drewry, Humphrey Doermann and Susan H. Anderson, Stand and Prosper: Private Black Colleges and Their Students (New Jersey: Princeton University Press, 2001); Marybeth Gasman and Christopher L. Tudico, ed., Historically Black Colleges and Universities: Triumphs, Troubles, and Taboos (New York: Palgrave Macmillan, 2008); http://www.aamu.edu/about/docs/AAMUHistory.PDF; http://colleges.usnews.rankingsandreviews.com/best-colleges/hbcu-rankings/page+2. Princeton University Press, 2001); Marybeth Gasman and Christopher L.